Don’t expect the US government’s war on drug pricing to go away any time soon – for once president Trump and his rivals, the Democrat party, agree on something, and both have had some strong words for those companies that took part in the price hikes of almost 500 medicines at the turn of the new year. Still, the Democrats believe that Trump has not yet done enough to tackle high prices, and have launched a probe into what they see as ‘unsustainable pricing’ – an announcement that prompted stocks in companies like AstraZeneca, Novo Nordisk and AbbVie to fall. This followed a bill introduced by senator Bernie Sanders and representative Elijah Cummings that lays out potential legislation to curb further increases. The bill would align US drug prices with the median price from five countries with government price controls – the UK, Canada, France, Germany and Japan. It would also end a ban on Americans buying cheaper medicines from countries like Canada, and would allow the US Secretary for Health and Human Services to negotiate prices in Medicare Part D, which helps beneficiaries pay for self-administered medicines. US industry association PhRMA opposes Sanders and Cummings’ bill, saying in a statement that it would “wreak havoc” on the country’s healthcare system. Although NICE rejected Eli Lilly’s breast cancer drug Verzenios in October last year, saying that it was not cost effective compared to its rivals when patient access schemes were taken into account, the drug saw a reversal of fortunes this month as the Institute approved the drug in draft guidance. The guidance concludes that Verzenios (abemaciclib) is as effective as its CDK4/6 inhibitor rivals, Pfizer’s Ibrance (palbociclib) and Novartis’ Kisqali (ribociclib), which NICE approved in 2017. Ibrance has become the market leader by virtue of being the first approved, and is now Pfizer’s biggest selling cancer drug, with sales approaching $2 billion in the first six months of last year. The UK price watchdog had another change of heart with AstraZeneca’s Fasenra(benralizumab) for severe eosinophilic asthma – broadening its recommendations for the drug’s use. Fasenra is the third biological treatment for severe eosinophilic asthma approved for NHS use, following GSK’s Nucala (mepolizumab) in December 2016 and Teva’s Cinqaero (reslizumab) in October 2017. The drug suffered a blow in NICE’s initial draft guidance, which said that it was not cost effective and therefore could only be funded for patients meeting a strict set of criteria – including ineligibility for Nucala. But after negotiations with AstraZeneca the final guidance gives Fasenra broader approval – and NICE even noted that, because it is given as an injection every four weeks for the first three doses, and every eight weeks thereafter, it is potentially more convenient than Nucala and Cinqaero, both of which are given every four weeks throughout treatment. But Novartis hasn’t been so lucky this month, as NICE rejected the company’s migraine prevention drug Aimovig(erenumab), the first drug in a new class of antibody-based CGRP inhibitors to be approved in Europe, in draft guidance. 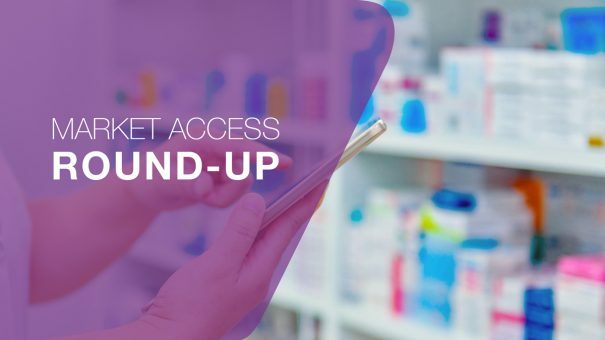 The rejection seemed to focus less on the drug’s cost (around £5,000 per year, not taking into account the confidential discount), and more on deficiencies in data. There was better news for Novartis in the US, though, as the FDA has granted Breakthrough Therapy designation to its drug crizanlizumabfor the prevention of vaso-occlusive crises (VOCs) in patients of all genotypes with sickle cell disease. The FDA also granted orphan drug designation to Albireo Pharma’slead candidate A4250, an oral ileal bile acid transporter (IBAT) inhibitor, for the treatment of biliary atresia, a pediatric rare disease that affects the liver and bile ducts and often presents in children in the first two months following birth. A4250 is currently in a phase 3 study for the treatment of Progressive Familial Intrahepatic Cholestasis (PFIC), with data expected by the end of this year or early next. A4250 has also received orphan drug designations in the US and EU for the treatment of Alagille syndrome, primary biliary cholangitis and PFIC. Meanwhile, an FDA advisory committee was split on whether to recommend Sanofi and Lexicon’s oral diabetes drug Zynquista. The Endocrinologic and Metabolic Drugs Advisory Committee voted eight to eight on the question of whether the overall benefits of Zynquista (sotagliflozin) outweighed the risks enough to support approval. Zynquista is an investigational oral dual SGLT1 and SGLT2 inhibitor under review as an adjunct to insulin for the treatment of adults with type 1 diabetes (T1D). The drug has the potential to be only the second non-insulin product approved for T1D in the US, and the first oral antidiabetic drug approved together with insulin to improve blood sugar control. But the drug has been shown to come with a higher risk of patients developing diabetic ketoacidosis (DKA) compared to using insulin alone. This is the key factor that has made the drug controversial among the Committee. While the FDA is not required to follow the Endocrinologic and Metabolic Drugs Advisory Committee’s vote, the agency considers the Committee’s recommendations when making its decision, which is anticipated by March 22, 2019. One thing NICE is definitely not budging on this month is Vertex’s cystic fibrosis drug Orkambi, but in the meantime the drug has received a label extension from the European Commission allowing it to be used in younger children.